The day Canadians decide en masse that they will relocate to Northern Alberta or northern British Columbia to take available jobs, we can have a proper debate in this country over the need for the Temporary Foreign Worker program. Nov. 15, 2012 3:39 p.m.
Until that fanciful day arrives, let’s accept that this program fills a huge void in the Canadian labour market in 2012. There are two other more relevant questions to debate: why has this program been left open to such obvious abuse, and why has its use accelerated so quickly under the Conservative government? 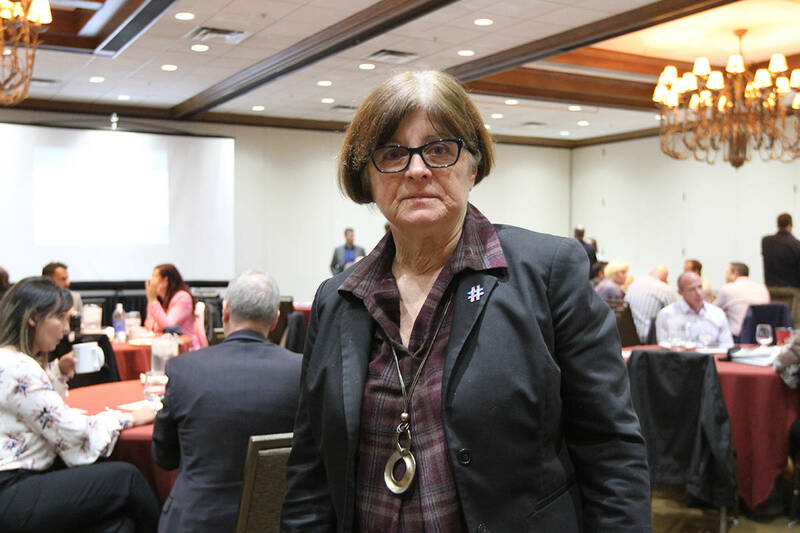 Human Resources Minister Diane Finley has been forced into a long-overdue review of the program by organized labour in British Columbia after a subsidiary of the Chinese Dehua Mines advertised for workers fluent in Mandarin, apparently ignoring the requirement that efforts first be made to locate or train Canadian workers to fill the mines jobs. “Our government believes that Canadians must always have first crack at job opportunities in Canada,” Finley said. A day after the review was announced, four temporary foreign workers from Mexico launched a human rights complaint against their boss at two Tim Hortons outlets in Dawson Creek, B.C., accusing him of rent gouging, forcing them into overcrowded housing, threatening to summarily send them home and general ill treatment. There have been, historically, two groups of employers who use the Temporary Foreign Worker program. There are those who are filling a legitimate labour need, cannot find Canadians to fill the jobs, treat the foreign workers with respect and pay them proper wages. And then there are those who see the program as an easy shortcut to cheap labour, a move that exploits the workers and drives down wages generally for Canadians and temporary foreign workers. Foreign workers in this country toil in the confectionery industry, the meat-packing industry, the oil production industry and all manner of industry in between. At any given time, there are more than 400,000 of them in this country. If this program were shut down, it is no exaggeration to say that unemployment would jump and businesses would close. While the number of immigrants arriving in Canada under the family class, economic and refugee programs has declined under the Conservatives, there has been a 50 per cent jump in the temporary workers class since Stephen Harper took power. In the British Columbia mines case, it isn’t clear whether a bloated bureaucracy administering the program at human resources and skills development just missed the wording of the application for workers or saw it and looked the other way, because there are no regulations preventing prospective employers from listing proficiency in another language — even though Finley singled that out as particularly troubling. But those who know this program well have a rather simple solution to the problem of fraud and abuse: require workers to speak one of Canada’s official languages. An English-speaking temporary worker is less vulnerable to abuse and less likely to accept substandard wages. Employers would prefer English-speaking workers because they are easier to train. Although most temporary workers leave the country after two years, those with specialized skills are allowed to apply for permanent residency, then citizenship. Here, again, French or English is a requirement, as it is for virtually all the economic class of immigrants in this country. The world is going to shift, Harper told the Globe and Mail last week, and competition for skilled immigrants will become heated as workforces age and immigrants are needed to fill skilled jobs. Immigration Minister Jason Kenney has already served notice in Britain that he will compete fiercely with Australia to woo skilled but underemployed, or unemployed, young Britons. Kenney replicated his efforts in Ireland, where he appeared at a giant Dublin jobs fair and even a popular late-night talk show to try to woo skilled young Irish to come to Canada. There is no cap on the temporary workers program. It is market driven, and Canadian business has generally found the Conservatives responsive to their pleas to expand the program and make it easier and faster to bring temporary workers to this country. Easier and faster is often the path to exploitation. If a language requirement slows the flow, it will also slow the abuse. There is no reason Canada cannot be aggressive and humane, simultaneously.